DEP has a wide range of versatile and precision converting equipment backed up by highly skilled and experienced operators. 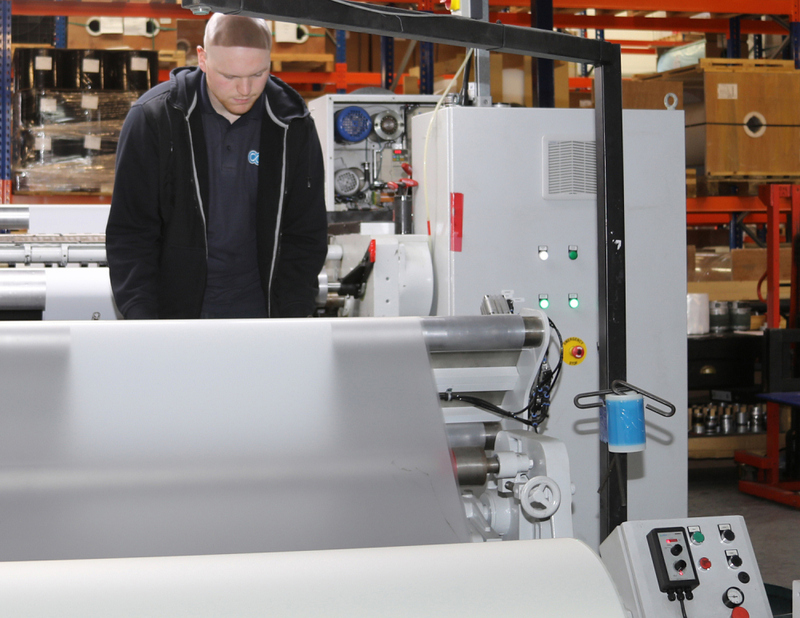 We are equipped to slit, sheet and guillotine films, synthetic papers and paper into a wide range of slit widths from 20mm up to 1650mm, and various sheet sizes. With a dedicated converting team and specialist customer services, DEP is able to offer you a quick turnaround, the highest quality and solid packaging solutions. DEP is a leading converter of paper and film based tapes for a wide range of applications. Tapes can be slit from either customer supplied materials or DEP coated products. We have tight controls on accuracy and web handling to ensure customer satisfaction. A wide range of films, synthetic papers and papers from 10 to 1200 micron. Master roll width up to 1650mm. Tape width from 20 mm. 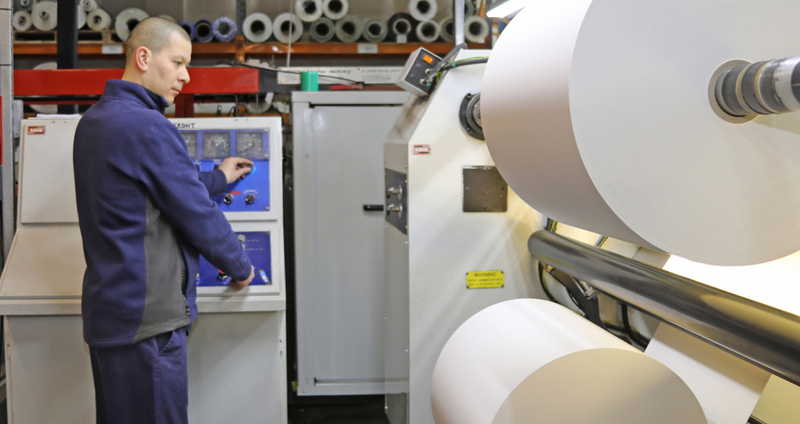 DEP is able to supply sheeted products using a wide range of roll stock materials. 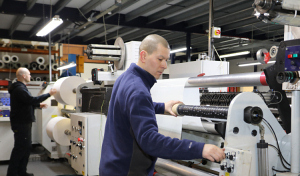 We are equipped with a number of precision slitters and guillotines to bring a broad converting service for customers who require sheeted products. Master roll width up to 1650 mm. Maximum sheet length is determined by material type. To back up our precision converting we take pride in our packaging to ensure the product gets to you safely, securely and in perfect condition. DEP can also hold stock, repackage and despatch to meet your customers need for quick turn around and reliable deliveries.